Summer house on Island Krk/Croatia 70m2 apartment + 30m2 big terasse + garden). Our summer house is located on Islad Krk in village Soline in Croatia (70m2 + 30m2 terasse+ garden). It was renewed 5 years ago. 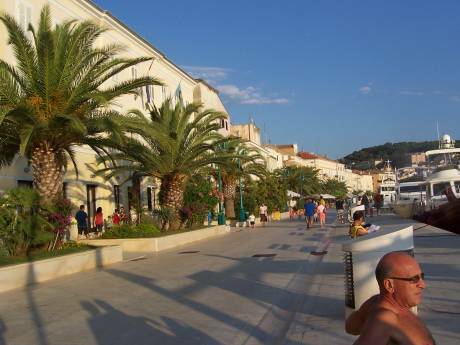 It has two beautiful terraces with the beautiful view to the Soline bay and to the mountains. The nearest beach is 300m from the house - 5 min walk. There is also a garden and more parking places. It has a kitchen which is well equipped with all necessary accessories. There are two small double bedded bedrooms and the living room (with two additional beds), bathroom with the shower (there is also outside shower which is more pleasant in the summer). Air conditioned. My name is Brane, my wife is Eta. We are 'young' retired couple both ingenieures (elektro and math). We live in Ljubljana/Slovenia and love to travel and meet the people. We speak some foreign languages. We are very open and have no problem with communications. Sometimes we travel with our daughters family with two granddaughters (9 and 6 years old) sometimes alone as a couple. Last summer we swapped our summer house with the family from Renes/France. This was an exelent experience and we would like to do it also in the future. The sea in Soline bay is quite shallow which means that the see temperature is also higher than anywhere else (up to 30 degrees) ... kids love it. 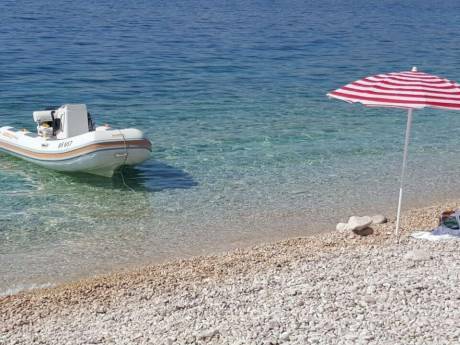 We would also recommend to visit neighboring cities and villages (City of Krk, Klimno, &#268;i¸i&#269;i, Vrbnik, Punat, Malinska ....) with beautiful beaches restaurants and cultural heritages. It is also a good starting point to visit other interesting cities in Slovenia like Postojna cave, Piran, Lipica, Ljubljana (the capital), Bled. 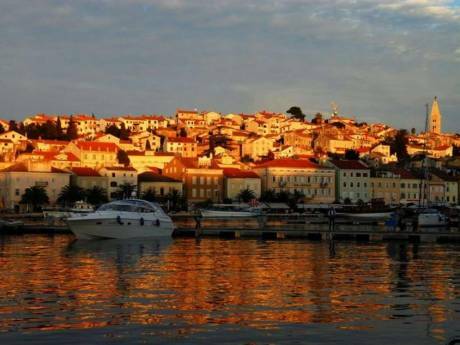 You can visit Croatian cities like Rijeka, Zagreb (the capital), Zadar, Split, Dubrovnik or any other island like Cres, Lo¨inj, Rab etc. The nearest airport is only 6 km from the house but the traffic is rare, just from June to October.